Great Cooks Start with Great Cookware! 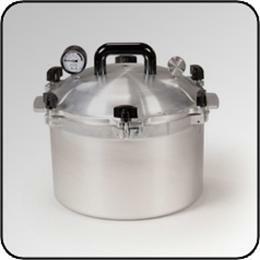 Stainless Steel Pressure Cooker Model D0450: Prssure cookers are an ideal kitchen accessory for preparing flavorful and healthful foods in record time with little or no fat. Chef’sDesign® Pressure cookers are premium models crafted of the finest 18/10 stainless steel for durability, safety and ease of cleaning. The bottoms are made with an aluminum/steel “sandwich” for superior heat conductivity. 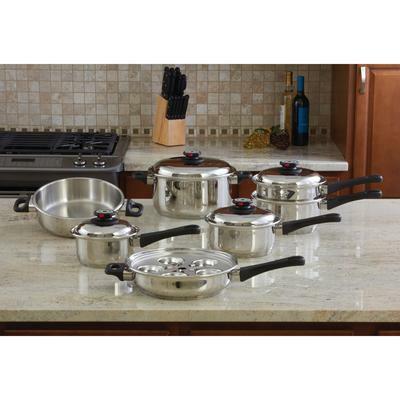 Finished with an attractive mirror-like finish, these pressure cookers work equally well on gas, traditional electric, ceramic electric and enduction stove tops. 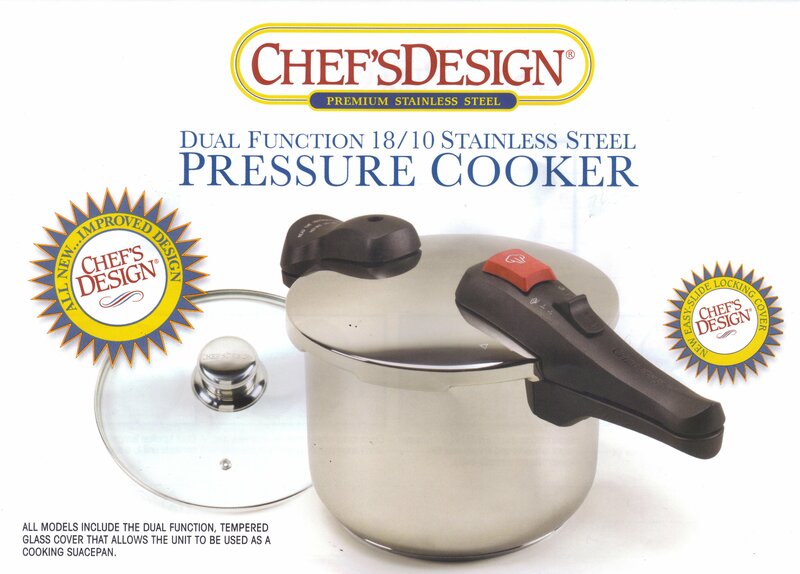 Chef’sDesign® Pressure Cookers also include a tempered glass cover that converts the cooker to a traditional sauce pan. Ten year limited warranty. 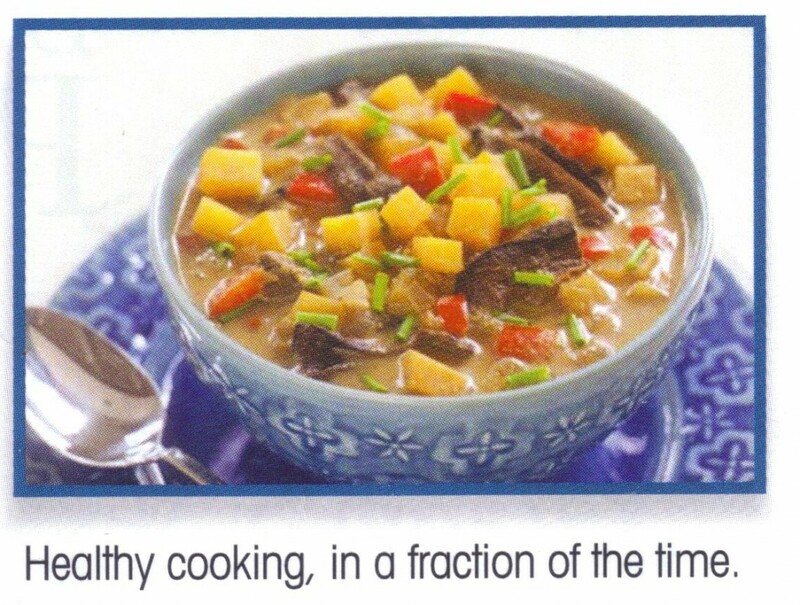 Cookes rice in five minutes – four times faster than normal. Faster cooking means up to 40% energy savings. Two valves for regular and high pressure cooking. Cooks vegetables, fruits, meats, sauces, stews, soups and more in record time. 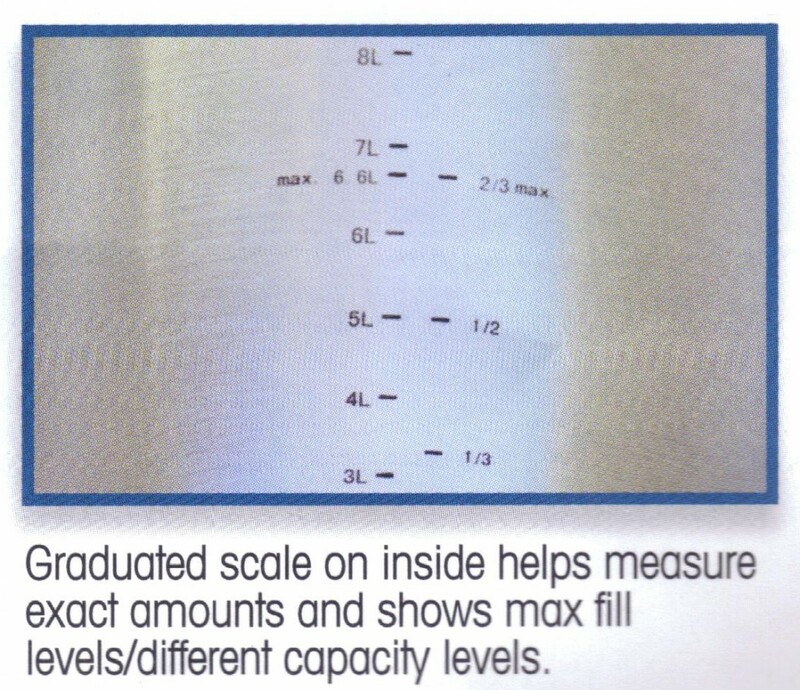 bottom conducts heat evenly without hot spots. Integral handles for safe and easy use. Cookers can be used as regular sauce pans with included tempered glass cover. Included steamer basket elevates food above the cooking liquid for steaming. Trivet/stand elevates food off the bottom. Works especially well for preparing fresh vegetables, fruit or fish. Over 75 recipes included in bilingual instruction manual. 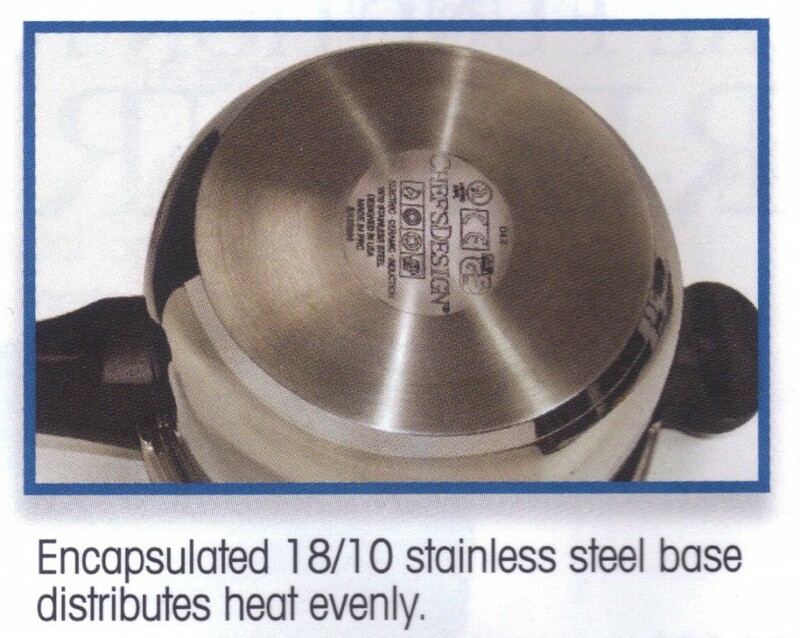 Be the first to review “Stainless Steel Pressure Cooker Model D1000” Click here to cancel reply. Waterless Cookware – Why it’s better. Dehydrating Food. 15 Reasons to Start! © 2019 Chef's Kitchen. All Rights Reserved.